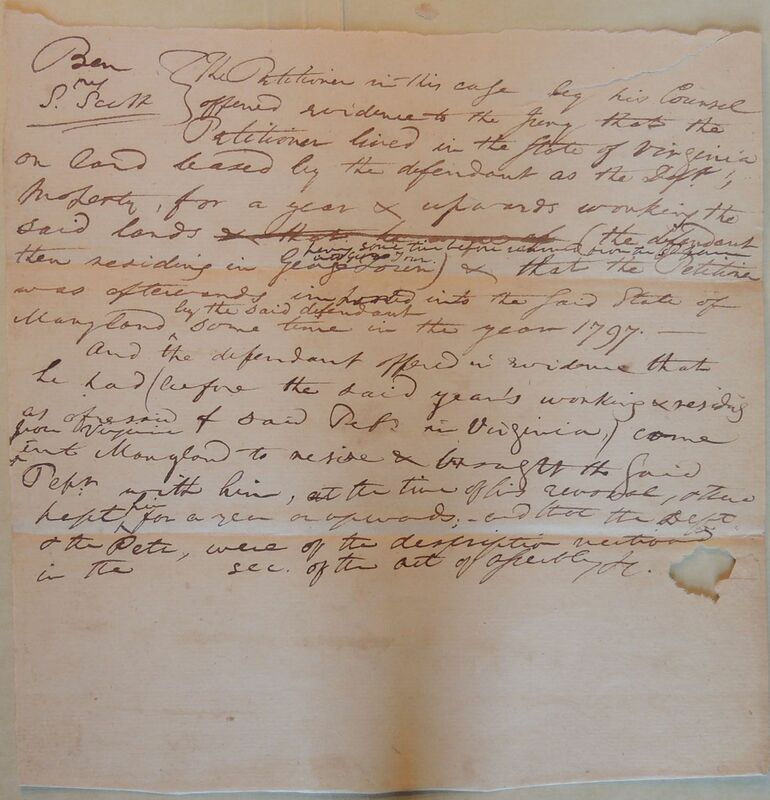 The Petitioner in this case by his Counsel offered evidence to the Jury that the Petitioner lived in the State of Virginia on land leased by the defendant as the Deft's property, for a year & upwards working the said lands & that he was af (the defendant then residing in Georgetown) having sometime before removed from the sd farm at George Town & that the Petition was afterwards imported into the said State of Maryland by the said defendant some time in the year 1797. And the defendant offered in evidence that he had (before the said year's working & residing as aforesaid of said Defs in Virginia,) came from Virginia into Maryland to reside & brought the said Petr. with him, at the time of his removal, & there kept him for a year or upwards; and that the Deft & the Petr, were of the description mentioned in the sec. of the act of assembly &c.